machine or dry cleaned prior to entering the country. You can also get help to have your equipment disinfected at Public Health Departments, Institutes for infectious diseases or ask your veterinary. 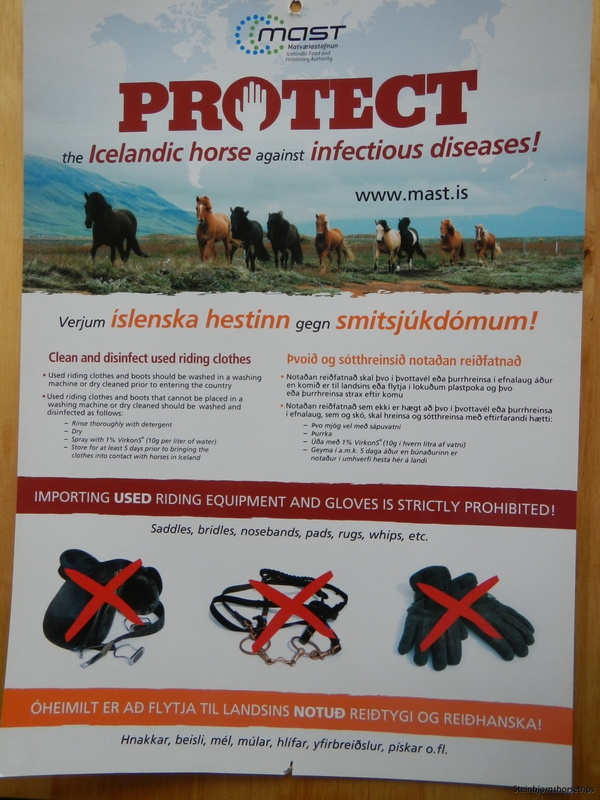 At the arrival on Iceland you can be asked of having a proof certificate. Icelandic horses are not vaccinated and are therefore susceptible to infectious agents from abroad!